“It was close to midnight and I had been on the ridge for around an hour. The temperature was about minus 5 degrees Celsius but there was zero wind chill, a clear starry sky and great light. 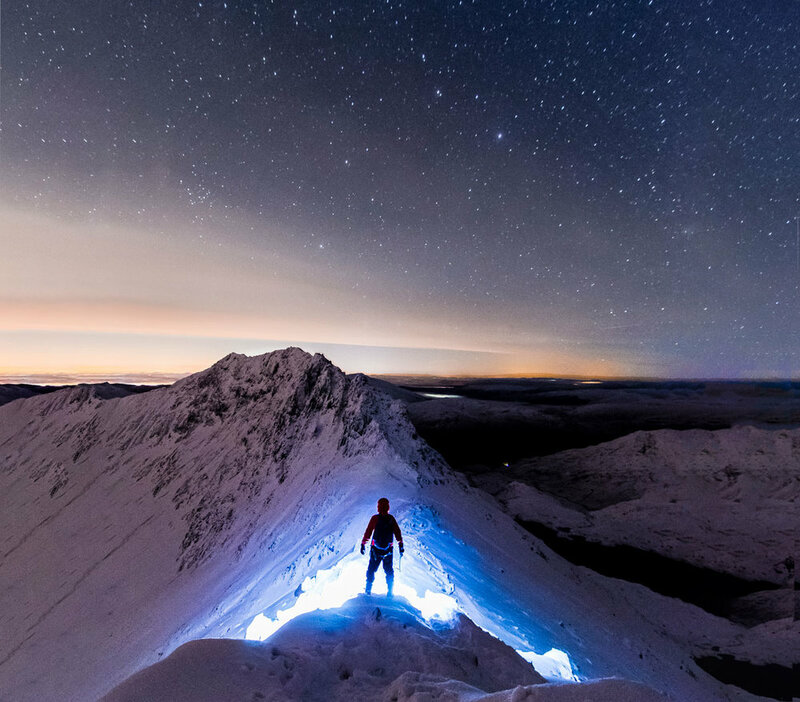 I had been planning this shot for a while but was holding out for the exact forecast and the conditions on that night were ideal.” Ideal indeed, Gareth Owen’s eerie self-portrait on Snowdon’s infamous Crib Goch ridge has been crowned the Trail UK Mountain Photo of the Year for 2018. Gareth, who lives in the foothills of Snowdon in Llanberis, said: “Crib Goch is a place a lot of people have been to or at least know about and I think this image in the dark and under snow just offers a unique perspective on it. An electrician by trade, Gareth only started taking his photography seriously as a hobby in 2016 after he was inspired by his friend’s landscape pictures on Instagram. 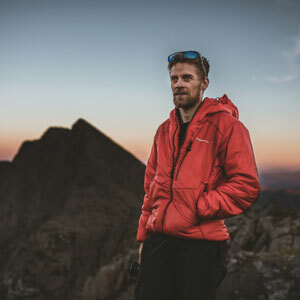 Since then the 29-year-old has taken his camera all over Snowdonia, with particular favourite haunts of his being the Glyderau, Tryfan and the Snowdon range. But what he really loves is shooting in winter. With his back to the camera, Gareth took the winning shot using a tripod and an intervalometer set to remotely fire off a single frame every five seconds. As well as the star-filled sky and the ice blue light emanating from his headtorch and illuminating the ridge, another aspect of the shot Gareth is pleased with is the halo that seems to centres around Crib Goch’s pinnacle. 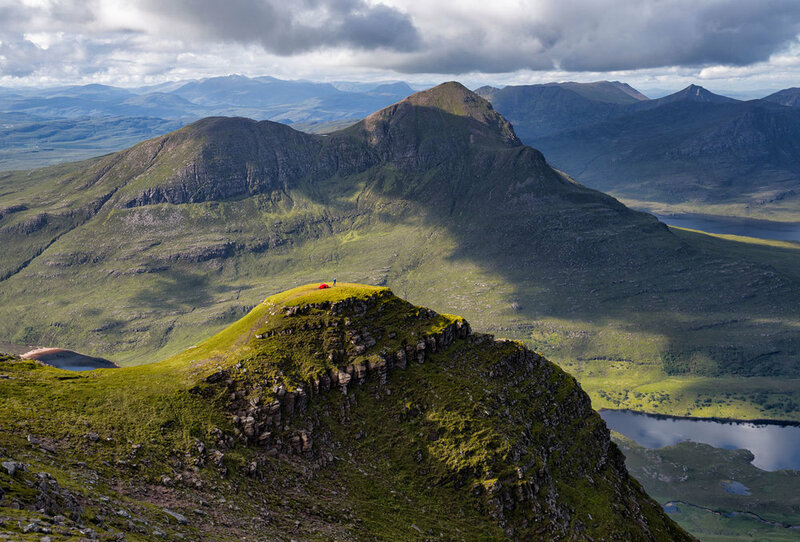 “This image was taken in August last year and I had been up Cul Mor the day before and camped on the top. The next morning, at about 7.30am, I was on my way down when I saw below me a tiny red tent and a small figure standing next to it with Cul Beag beyond. I dropped my bag, rushed to grab my camera and fired off a few shots. John McSporran, a former police officer living in Erskine near Glasgow, had been up early after a camp in the Assynt region. “I love climbing mountains and wild camping on them – it’s a real escape and it allows you to be out during dawn and dusk; the best conditions for landscape photography. 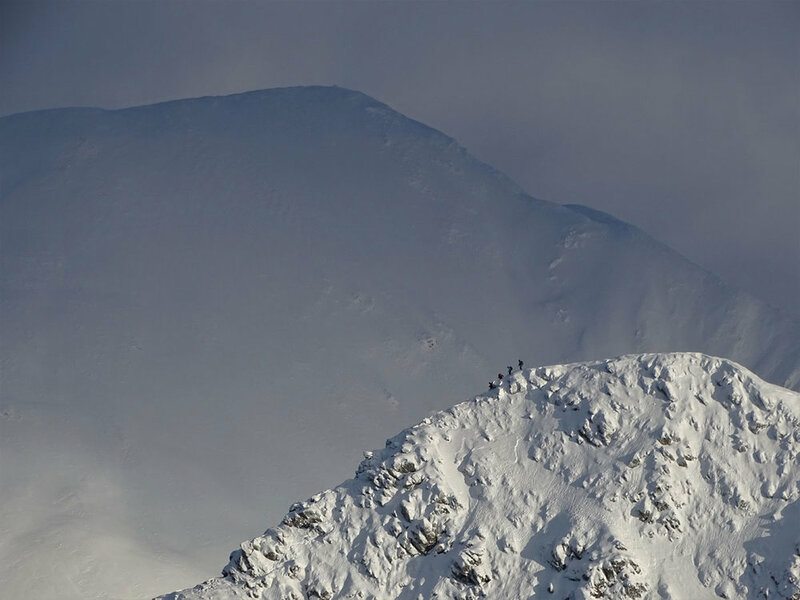 Michael Eyton, a postman from Kirkcaldy near Fife, took this incredible shot on his descent from Stob Ban in the Mamores last January. Michael, 28, has now pencilled hillwalking trips to Assynt and the Isle of Skye into his diary for this year, and also wants to tick Ben Nevis off his admittedly long bucket list. Michael wins a Fujifilm X-T100 with XC15-45mm lens worth £619.